As we enter the height of summer, most of us will be experiencing the warmest temperatures of the year. With that in mind, now would be a bad time for a tripped breaker while camping, specifically while you are running your RV's air conditioners. Other times you may being trying to use something such as a microwave or hair dryer, only to be met with an unwelcome situation if a different appliance is running too. Using the JTB Power System, you are able to keep two appliances running at the same time, including dual air conditioners. It eliminates the worry of causing a circuit breaker to trip, and also reduces the need to shut off one appliance in order to operate another. 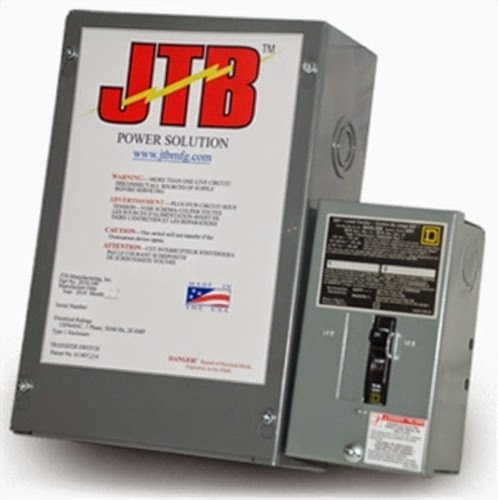 With this power system, also known as the JTB Power Solution, you can run a 50 amp RV in a 30 amp park. The system works automatically, so there is nothing that needs supervising. When the Power Solution is installed, there will be an added power cord that can plug into a 20 amp circuit or GFCI, while the power cord you already had is plugged into the 30 amp service. Installation does require you to be comfortable working with electricity, so keep this in mind when deciding whether to mount the unit yourself. It is compatible with almost any type of motor home, so you do not need to worry about it matching a certain make or model. This power system allows you to take advantage of the power made available to you, whether it is 30 amp or 50 amp. Reduce the potential for electrical problems by having that additional safety margin. It will not require you to sacrifice one appliance to use another, nor will you have to go without air conditioning in the summer heat.